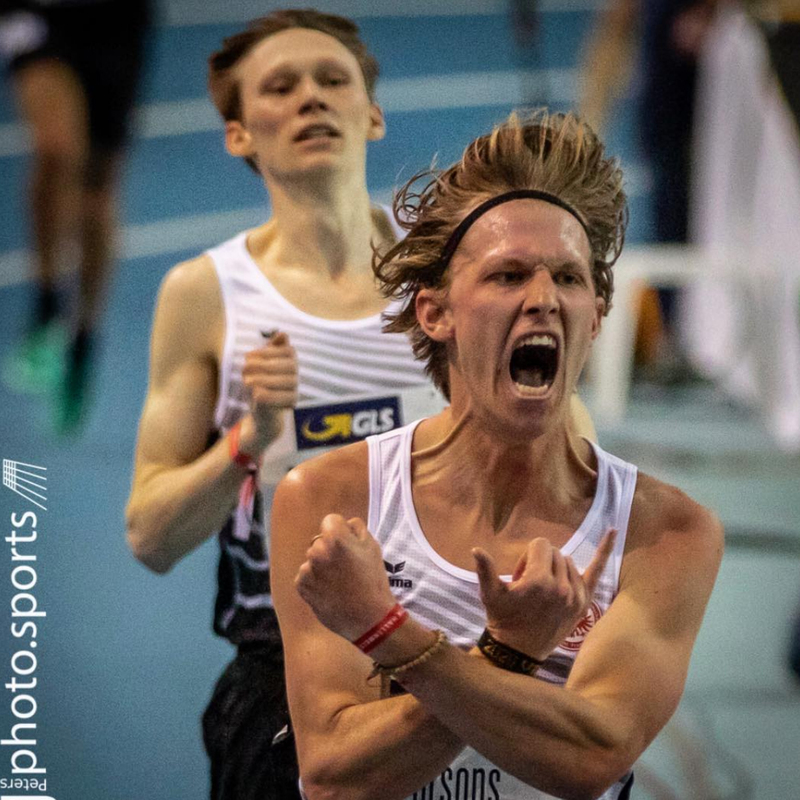 Sam Parsons, a professional runner from Newark, Del., and son of CRR Christina Parsons and CRR George Parsons, won the 3,000m indoor German National Championship in Leipzig on Saturday. Parsons, who has dual citizenship because of his German-born mother, made the decision last year to compete for her homeland. The 25-year-old Parsons and another German-American runner, Amos Bartelsmeyer, finished 1-2 and were the only competitors to break eight minutes, Parsons clocking in at 7:53.71. A Tatnall School and North Carolina State University graduate, Parsons will be off to represent Germany in the European Championships on March 2–3 in Glasgow, Scotland. Will he be ready? With two Creek Road Runners forming his direct bloodline, we bet he will be. “I’m not afraid of opponents,” he declared. > Also see Parsons breaks four-minute mile. 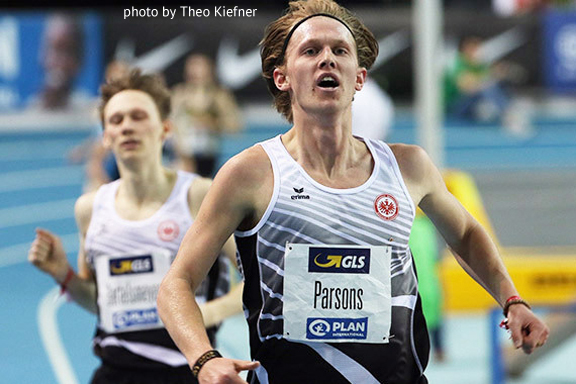 Editor’s Note: Parsons took 12th place in the Euro Championships on March 2. On the track, it’s about time—typically all about time. 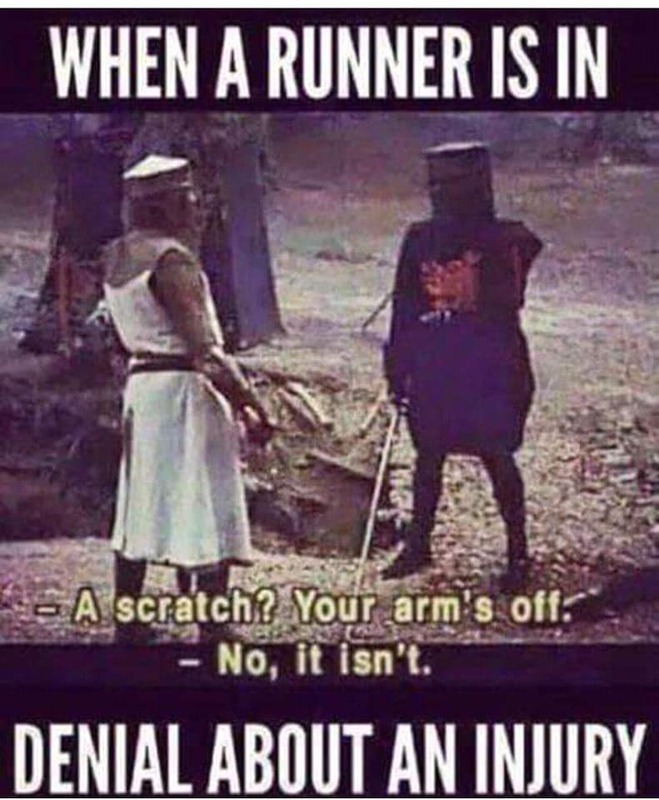 But this is not so true when it comes to CRR Jim Fischer, who has put more time (and love) into the sport of running and racing—as competitor, coach, and community mentor—than anyone else in Delaware. For his latest honor, all we can say here at CreekRoadRunners.org is that it’s about time! It’s also about time to have posted this article, well after Fischer’s November 20th induction into the Delaware Track & Field Hall of Fame, the institution that he initiated several years ago. Fischer came to Delaware from his native Minnesota in 1982 to coach cross-country and track and field at the University of Delaware. He quickly became one of the initial crop of Creek Road Runners. Fischer coached both men and women at UD until 2011, when the school eliminated the men’s running program, at which point he continued coaching the women for a few more years. He put in some coaching time at Delaware Technical & Community College and has since coached at the high-school level with the Sanford School and Ursuline Academy, respectively. However, Fischer may be remembered most universally among the running community in northern Delaware for his leading public track workouts and mentoring runners individually every Tuesday evening 11 months out of the year for 30+ years. He also organized and officiated meets that were open to the public. He loves running so much that, even after he stopped racing, he could often be seen at races—either helping out or simply encouraging runners. 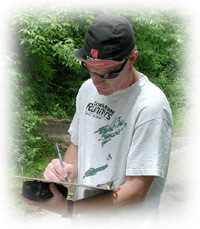 In addition to his affiliation with Creek Road Runners, Fischer is a member of the Pike Creek Valley Running Club. In CRR lore, Fischer was one of the five scoring members on the second-place-finishing Creek Road Runners team in the 1988 Caesar Rodney Half Marathon’s corporate team competition, clocking a 1:19:05. Other scorers that day were CRR Martin Wolfer, CRR Bob Taggart, CRR Mark Deshon, and CRR Steve Cottrell. As we close out this calendar year, we salute you, Jim. See News Journal’s write-up on Fischer and this year’s other four Hall of Fame inductees. There may be more out there who completed this year’s Marine Corps Marathon in Washington, D.C., but two Creek Road Runners stood out, each completing the 26.2-mile course in under 200 minutes. CRR Dan Weile, who finished 26th in among the 45-49 men and 363rd overall (out of 20,614), turned in a time of 3:13:58. Certainly not the time she had hoped for, CRR Jo Baird, who was the 46th female to cross the line, finished 15th among the 25-29 women and 418th overall in 3:16:15. In a race around the monuments of our nation’s capital, these two were monumental themselves.